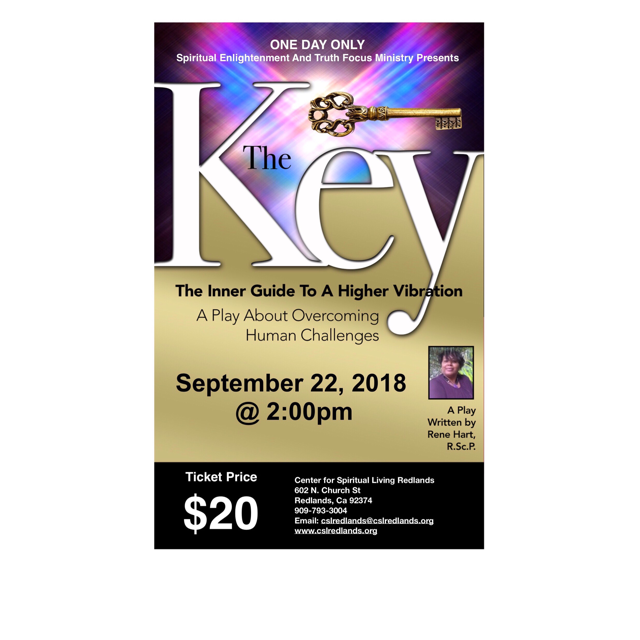 Center for Spiritual Living Redlands will be hosting a performance of the play “The Key” on Saturday, September 22nd, 2018 from 2:00p.m. to 4:00p.m. 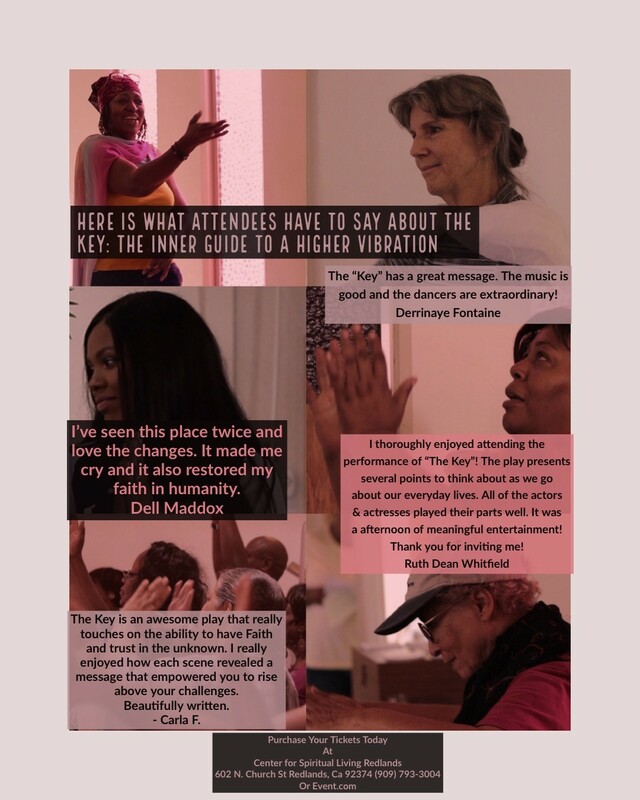 The Key, written by Rene Hart, RScP, is a play about overcoming human challenges. “An excellent into the human challenge of a changing world.” – Adrian Madden, Music Director at CSLB. Tickets are $20 each and are available at the link below. 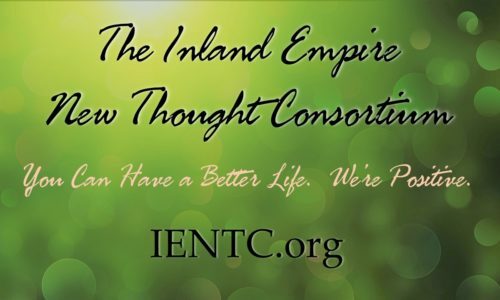 Click here to get your tickets at EventBrite.